Synopsis: Chitose is a high school student who lives in Okinawa. One day, she meets Yukito, a student from Tokyo with whom she almost instantly falls in love with. After he kissed her, they plan to meet the next day but she falls ill from the Swine flu. 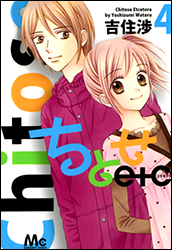 Wanting to find her love, she transfers to Tokyo, only to discover Yukito already has a girlfriend ...? !